The People Of The Ball. I spent a lovely couple of hours at the Jewish Museum in Camden walking around 4-4-Jew, the exhibition on Jewish involvement in British football. I admit I thought that after half an hour I would be out of there. I always used to think that Jews in British football started and stopped with Barry Silkman, who played for Crystal Palace, my dad’s team. But I was still there after two hours and time flew by. It was wonderful. I sat on an improvised mini-football terrace and watched a 20 minute film in which pundits, ex-players and ex-Chairmen spoke about their own Jewish involvement in the beautiful game in Britain. Author and journalist Anthony Clavane related that in the sixties Leeds United fans used to complain that while Leeds Rugby League club had the great Lewis Jones they only had Jewish loans. It was true. But, as Clavane said, had three Jewish Leeds United directors not given Leeds United interest free loans of £10,000 each then Leeds United would have gone bust. David Bernstein, ex-Chairman of the Football Association, related how the reason he came to support Manchester City was because he loved their Sky Blue shirts. There’s a board at the exhibition on which you can write why you support the football team you do. We each have our own story to tell. There was a fascinating corner on the time England played Germany at White Hart Lane in 1935. Footage showed the two teams facing each other before the game. During both national anthems and Abide With Me the German team gave the Nazi salute. How could the FA let this game take place. The Star newspaper described tensions leading up to the match and how Barnett Janner MP (father of Greville) went to the Football Association to protest on behalf of British Jews. A 1965 Arsenal football programme contains an apology to Arsenal’s Jewish supporters for playing an FA Cup match during Passover. How times change. A few weeks ago Spurs played a game on Yom Kippur without even a word. Maybe Spurs recognised that some Jews would go to that game. The question left hanging was did football change us or had we changed enough already for that game to have taken place on the holiest day in Judaism? On the walls were mini screens which showed old footage that lasted no longer than three minutes each. Chief Rabbi Sachs tell the hilarious story of when he went to see Arsenal v Manchester with the Archbishop of Canterbury. They are both Gooners, but Arsenal lost 6-2 at home! 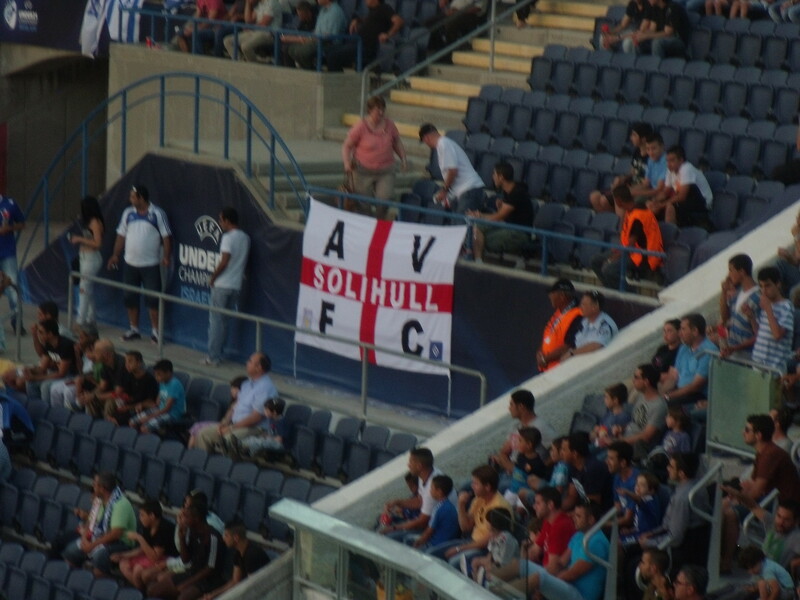 There was a sense at 4-4-Jew that for British Jews football and Judaism are both religions; equally as important. But it shouldn’t be considered a bad thing. Clavane described how Leeds Jews would hide their cars around the corner from synagogue and go off to Elland Road after synagogue. No one admitted it, but they all did it. And he told how his rabbi bumped into Don Revie, the late Leeds United manager, at a Jewish wedding. The rabbi told Revie that they had the same congregation; he has them in the morning and Revie had them in the afternoon. You see, it didn’t have to be all or nothing as in keeping Shabbat 100% or not at all. By going to synagogue and then being taken to football at least Jewish children got a sense of the importance of Shabbat. The only thing not to like about 4-4-Jew, for me, is the title of the exhibition. Why did they not call it The People Of The Ball, which I took as the headline for this piece off one of the posters at the exhibition? “Jew” is also used disparagingly. I can understand the use of “Jews” to describe a collective of people. But “Jew” is used when “Jewish person” is far more preferable. “Jew” implies that religion is a person’s defining characteristic, when “Jewish person” implies it is one of many. It is a term just as potentially explosive as “Yid”, but no one is banning the “J” word. Even 4-4-Jewish would have been preferable. So here’s the question for David Baddiel, who wants Spurs fans banned from singing “Yid Army”: What if those fans chanted “Jew Army” instead? It would still invite sick chants of “Spurs are on their way to Belsen” from opposing fans. Would Baddiel then campaign that the “J” word be banned as well? 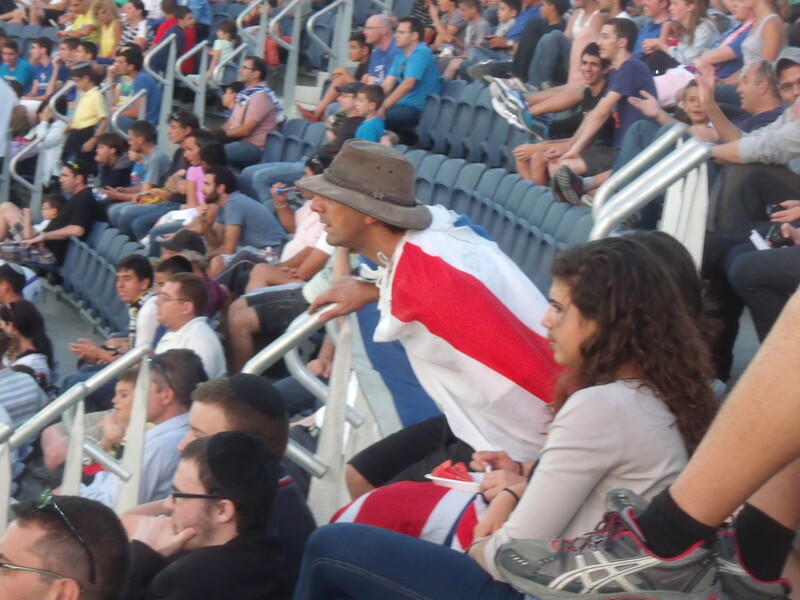 England left crushed by Israel’s winning goal in Jerusalem. 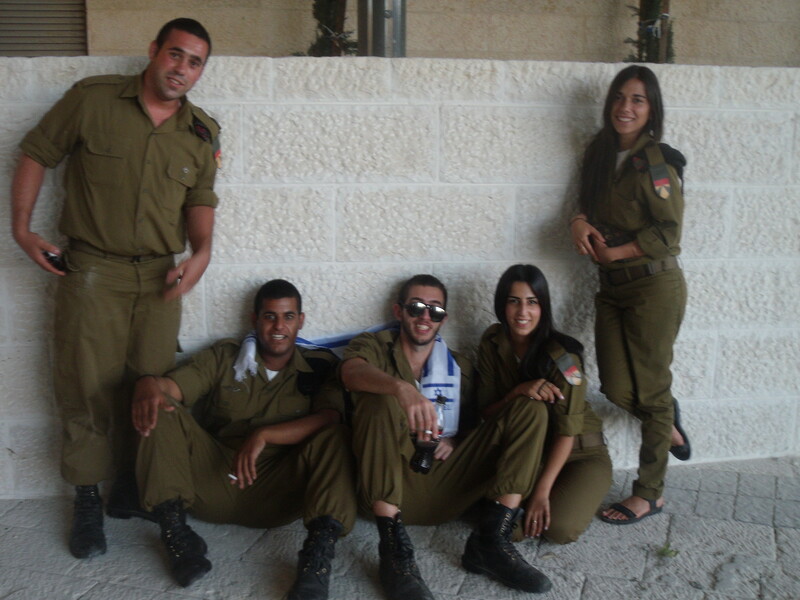 Israel Defence Forces soldiers having fun before the Israel v England game. England’s Under-21 football team, already eliminated from the UEFA Under-21 Finals in Israel after losing their first two games, were beaten 1-0 by Israel in Jerusalem’s Teddy Kolleck stadium to be left bottom of their group having achieved no points and having scored just one goal in their three group games (and that goal was from the penalty spot). Israel also finally went out having won one, drawn one and lost one, although it all could have been so different had they not conceded a last minute equaliser against Norway in their first game. England left the tournamount in disarray which doesn’t bode well for the future of England’s senior team. Over 22,000 fans in Israel’s capital Jerusalem watched a first half in which both teams matched each other but with neither side being able to finish. 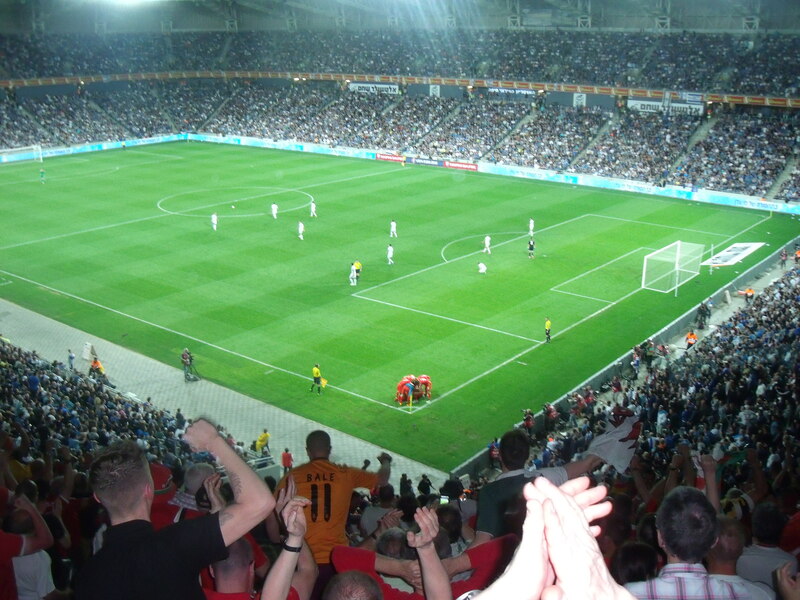 However, Israel stepped up a gear towards the end of the game and struck the bar with a dipping shot from 30 yards out and then almost chipped the England goalkeeper who found himself stranded before Israel finally crashed the ball home with just ten minutes left to the delight of the home fans. Israel’s goalkeeper clears the ball as Israel go on the attack. 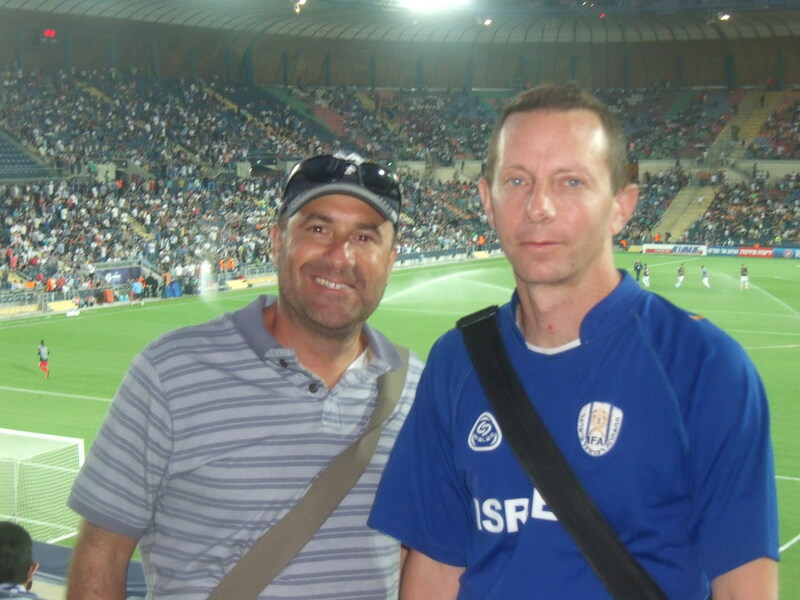 Yours truly with Cifwatch‘s Adam Levick at half time during the game. Wearing the scarf with pride. 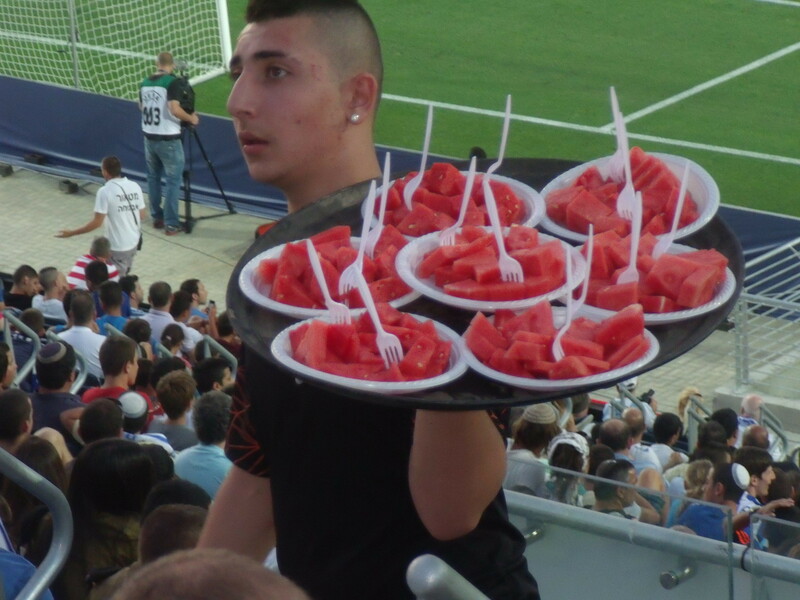 Water melon being served up at the game. 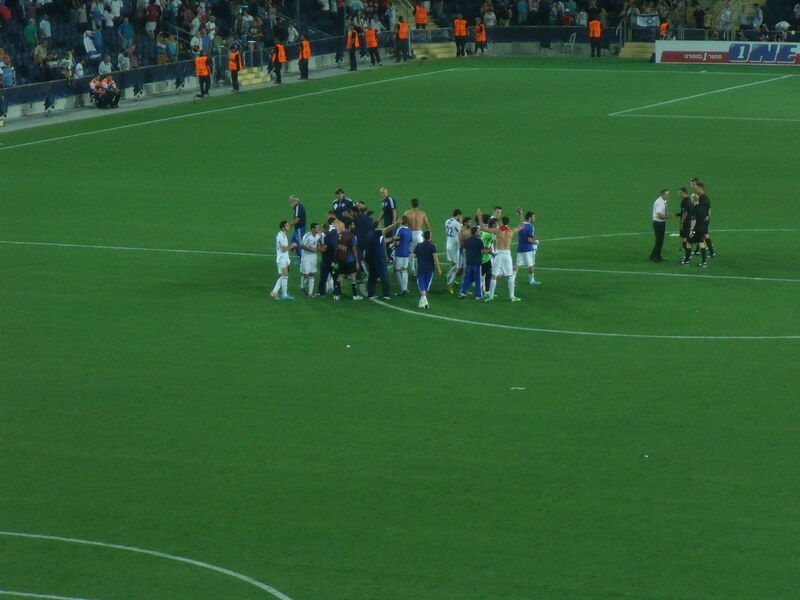 The Israeli team celebrates at the end of the game. England announces squad for Israel 2013. 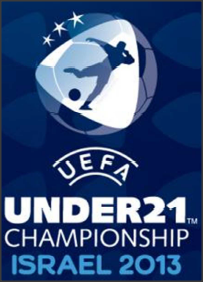 We are under three weeks away from the start of the UEFA Under 21 Football Championships in Israel and on Tuesday Stuart Pearce announced his England squad which is full of exciting players who will be using the tournamount to try to force their way into the England first team. 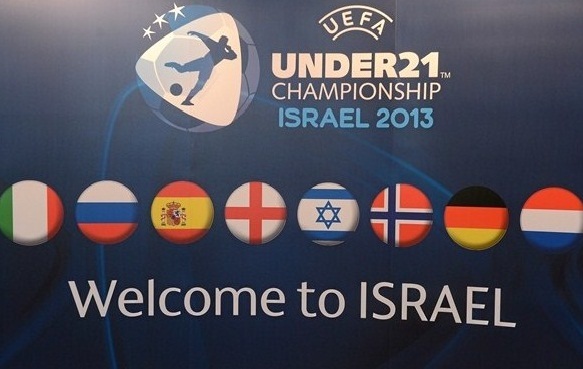 Group A: Israel, England, Italy, Norway. Group B: Spain, Germany, Holland, Russia. England will play Italy in Tel Aviv on June 5th, Norway in Petah Tikvah on June 8th and Israel in Jerusalem on June 11th. In the semi-finals the winners of Group A play the runners up of Group B and the runners up of Group A will play the winners of Group B. The final will be in Israel’s capital Jerusalem on June 18th. Sky Sports are due to show every game in the tournamount live. It will be exciting to see Wigan’s Callum McManaman linking up with Wilfred Zaha (soon to be going to Manchester United) and a good test to see how the players cope in 80 degrees heat with the prospect of World Cup Finals in Brazil in 2014 and Qatar in 2022. It will also be a good test for Israel’s youngsters who will be trying to break into Israel’s first team. 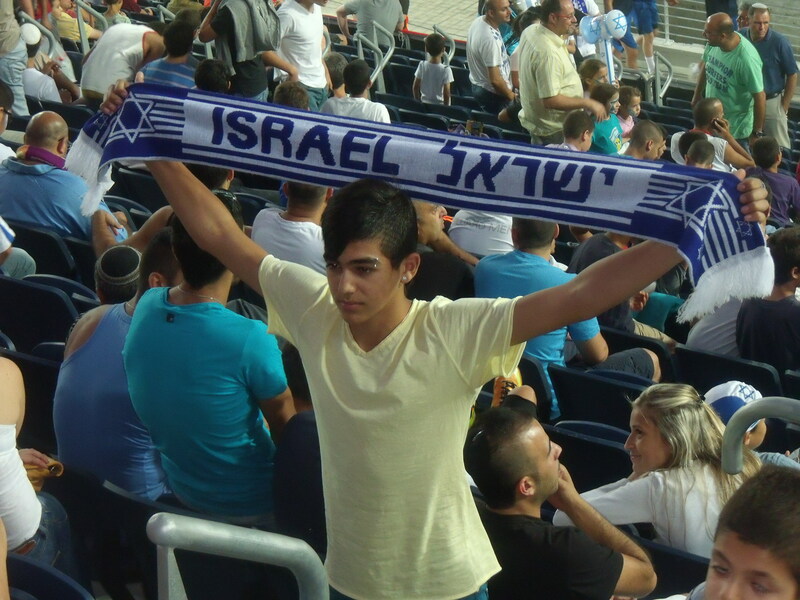 Israeli football is as strong as it has ever been. Israel’s first team are currently 2nd in their World Cup qualifying group for Brazil 2014 and were not far away from qualifying for the World Cup Finals in South Africa in 2010. It will be interesting to see the Avi Cohens, Ronny Rosenthals, Eyal Berkovics and Yossi Benayouns of the future. One would expect a Spain v Germany final but let’s hope for it being England v Israel with England winning the final on penalties! Should Israel be in the Asian qualifying section for the World Cup Finals? 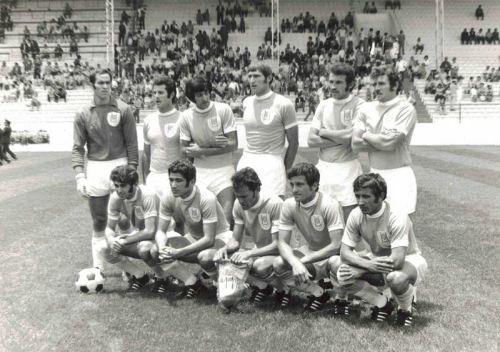 Israel at the 1970 World Cup finals in Mexico. 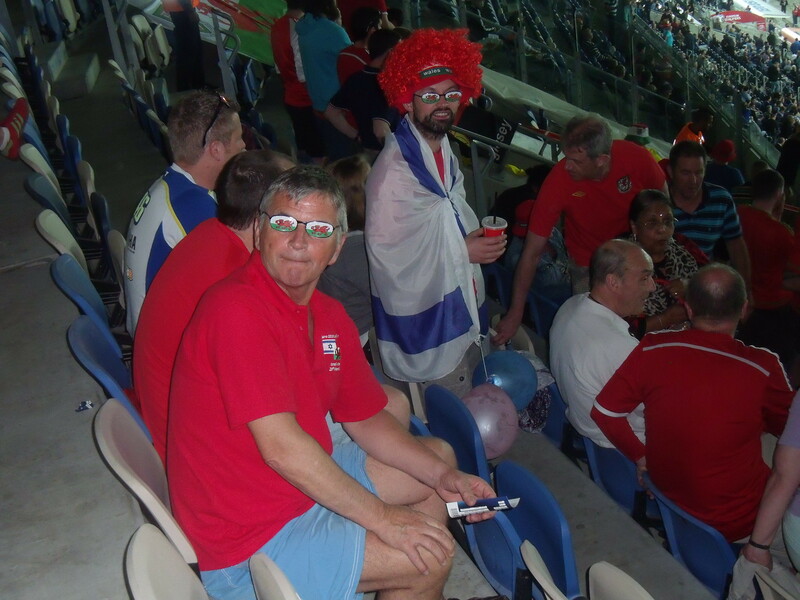 Last Saturday night the draw took place for the qualifying rounds of the 2014 World Cup finals and the Jewish Chronicle has published my piece about Israel being disadvantaged by playing in the European qualifying section, as opposed to the Asian qualifying section. They put my piece up against an excellent one by Simon Griver, an Israel-based sports correspondent, and are conducting a poll: Should Israel be in the Asian World Cup group? At the moment the “Yeas” have it 59% to 41%. Thanks to CifWatch for the idea for my piece. Champagne all round if my argument has continued to win out by next week. 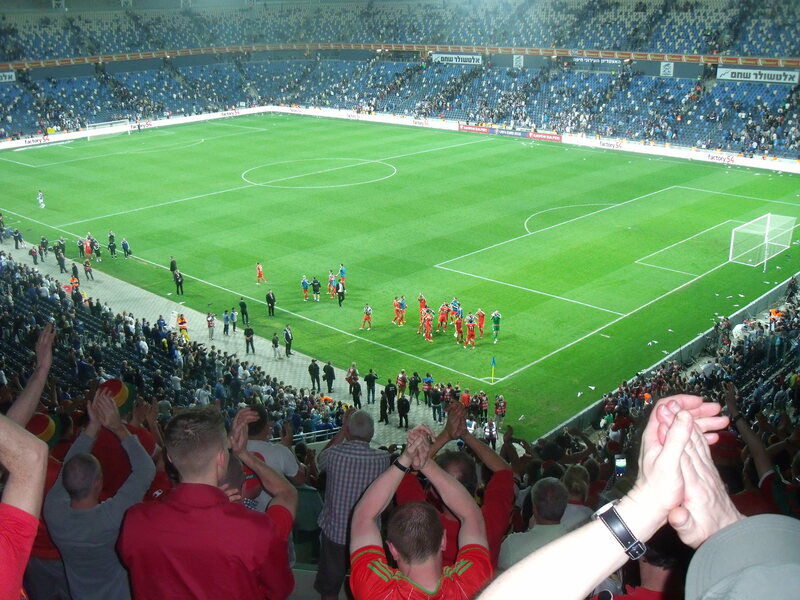 Should Israel be in the European qualifying section for the World Cup finals? We know that most Middle Eastern countries refuse to play Israel, but this is contrary to Fifa’s “Say No to Racism” campaign and Article 3 of the Fifa statute, which states that discrimination on account of “ethnic origin, gender, language, religion, politics or any other reason” is punishable by suspension or expulsion. Those countries that object to playing against Israel should really be expelled from Fifa. But Iran, Saudi Arabia, Syria and Qatar are set to begin their 2014 qualifiers. Israel’s only appearance in the finals was in Mexico in 1970, when they competed in the Asia qualifying section. Which begs the question: how much better would Israel do if they were playing these far weaker Asian nations? Israel is ranked 32 in the world. Of the 20 countries in the Asian qualifying section only two, Australia (23) and Korea Republic (28), are ranked above Israel. Had Israel been in the Asia qualifying section, they would have been seeded and, one imagines, would easily have overcome the likes of Iran (54), Saudi Arabia (92), Syria (104), Qatar (90) and Thailand (119). Thailand are there by dint of just beating Palestine (166) in the earlier elimination rounds. But with Portugal (7) and Russia (18) in Israel’s European group, qualifying is going to be very difficult. And what about next year’s Olympics? The Charter of the International Olympic Committee states that discrimination “on grounds of race, religion, politics, gender or otherwise” is incompatible with the Olympic Movement. But Iran will not compete against Israeli athletes. At the recent swimming world championships in Shanghai, an Iranian swimmer, Mohammad Alirezaei, withdrew from a breaststroke heat in which Israel’s Gal Nevo was swimming. He did the same at the Beijing Olympics in 2008. 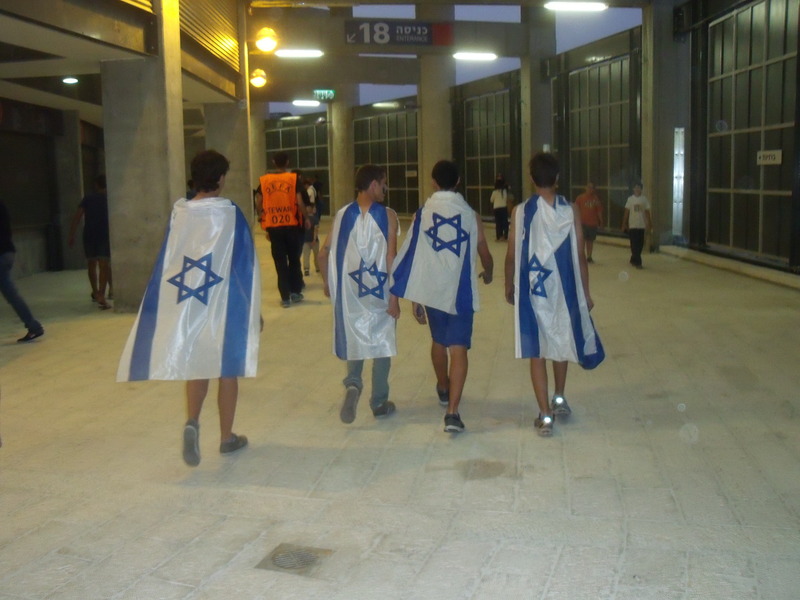 Most likely the shame of losing to Israel is the primary motivation. Israel’s chances of reaching the World Cup finals in Brazil in 2014 look slim after being drawn in Group F alongside Portugal and Russia. 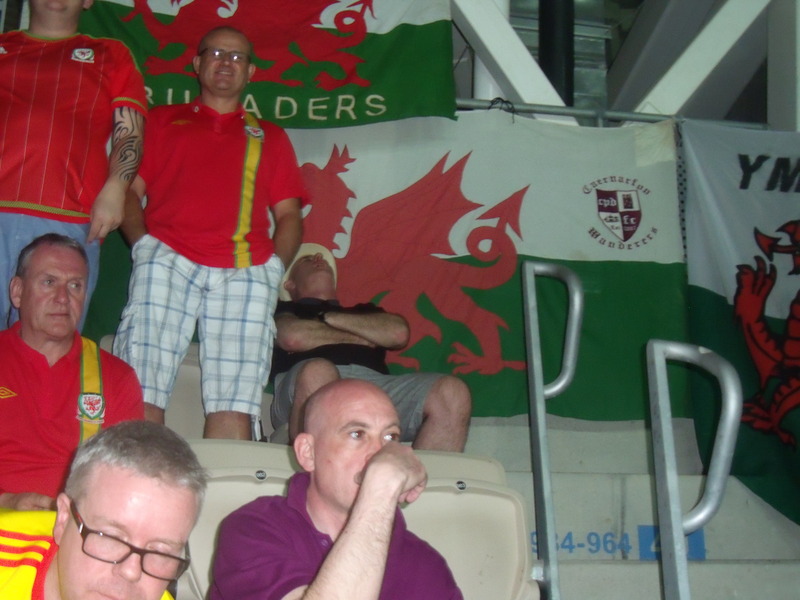 Northern Ireland, Azerbaijan and Luxembourg are also in the group. 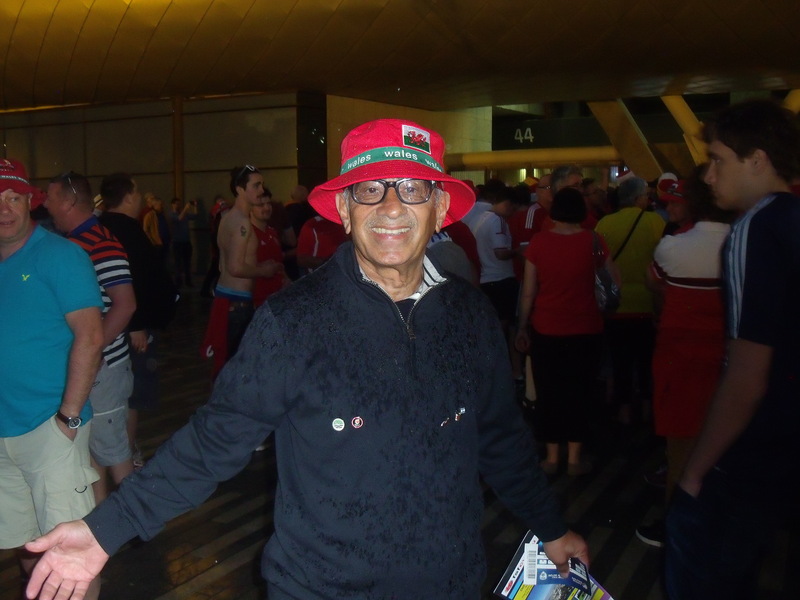 One UK bookmaker makes Israel 20-1 outsiders to top the group and automatically qualify for the World Cup finals for the first time since 1970, and 4-1 to finish second and thus take part in the play-offs, probably against one of Europe’s powerhouses. It would be much easier for Israel to reach Brazil if Yossi Benayoun and co were playing in the Asia Confederation, which expelled Israel in 1973. Yet even in the unlikely event that Middle East peace materialises, Israelis would reject rejoining Asia out of hand. 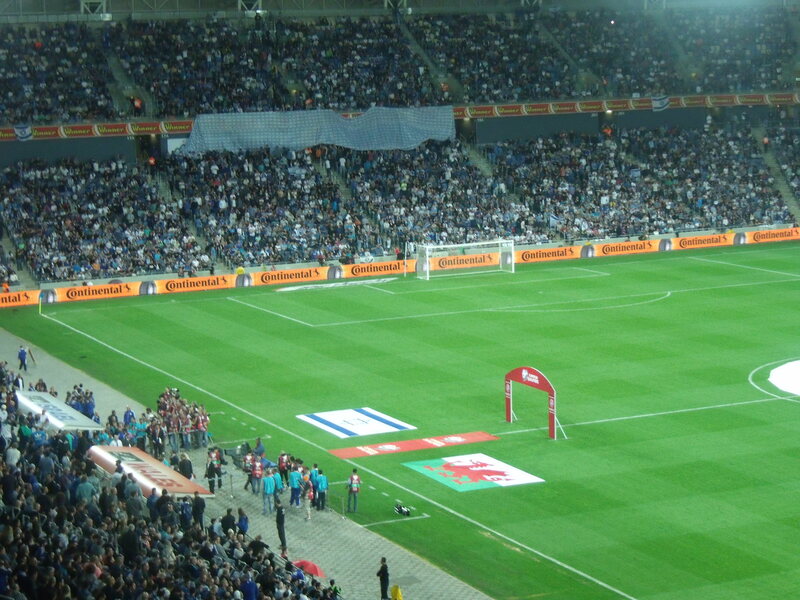 Israel joined Uefa in 1992, after the collapse of the Soviet Union, which had routinely vetoed Israel’s candidacy. Some sporting associations such as basketball had even joined their European federations before the Soviet demise. The odds of reaching the World Cup finals may have lengthened but European competition has its compensations. 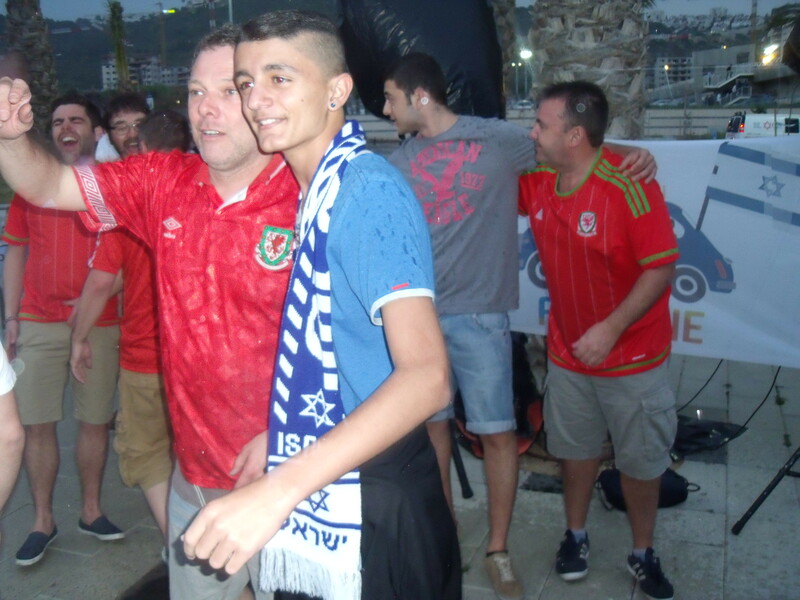 Israel also takes part in the Euro football championships as well as a wide range of other national competitions, and will host the Euro 2013 Under-21 championships. More significantly, Israel’s club sides get to play in the highly lucrative Champions League and Europa League. 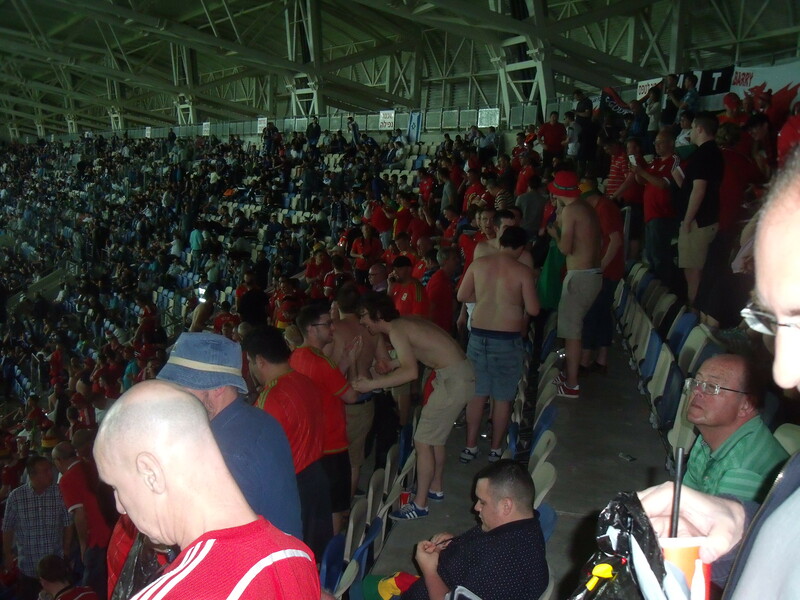 Israeli fans can reminisce about Hapoel Tel Aviv dumping Chelsea out of the Uefa Cup, or Maccabi Haifa hammering Manchester United 3-0 in the Champions League. In football, hope springs eternal and upsets are likely. 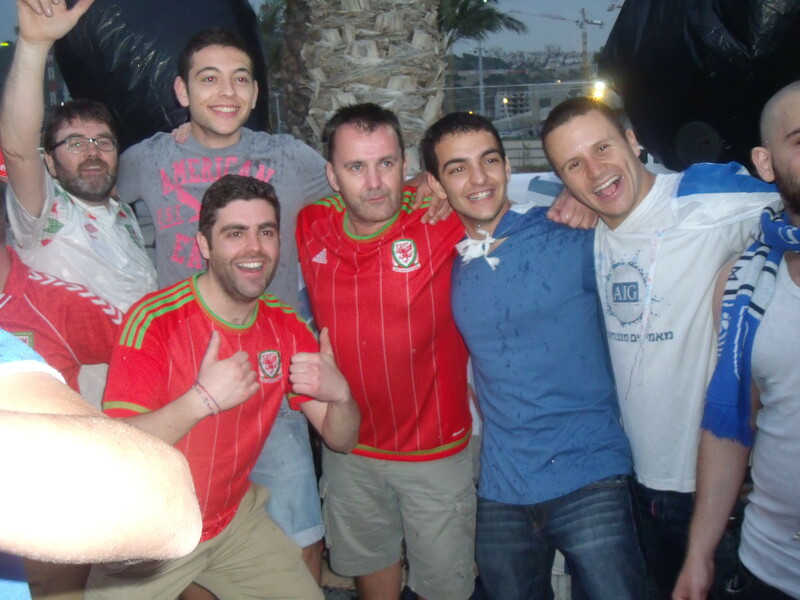 Avram Grant’s Israel was only beaten on goal difference to a World Cup 2006 play-off place. 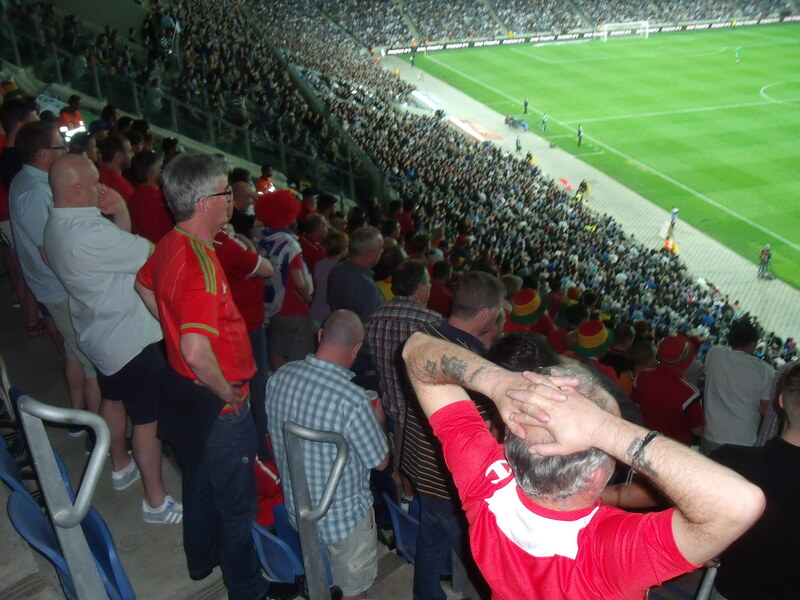 Besides, Israelis think of themselves as being in Europe rather than Asia, and competitive visits by the likes of Portugal’s Cristiano Ronaldo help nurture the geographical illusion. 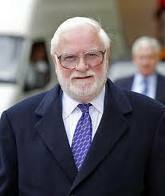 I wrote to Ken Bates a few weeks ago after seeing a child give a Hitler salute and hearing some fans around me singing “Spurs are on their way to Belsen” at the Leeds v Spurs FA Cup replay at Elland Road on February 3rd. I had a complaint from a Leeds fan who lives in London about the anti-Jewish chanting when we played Spurs. 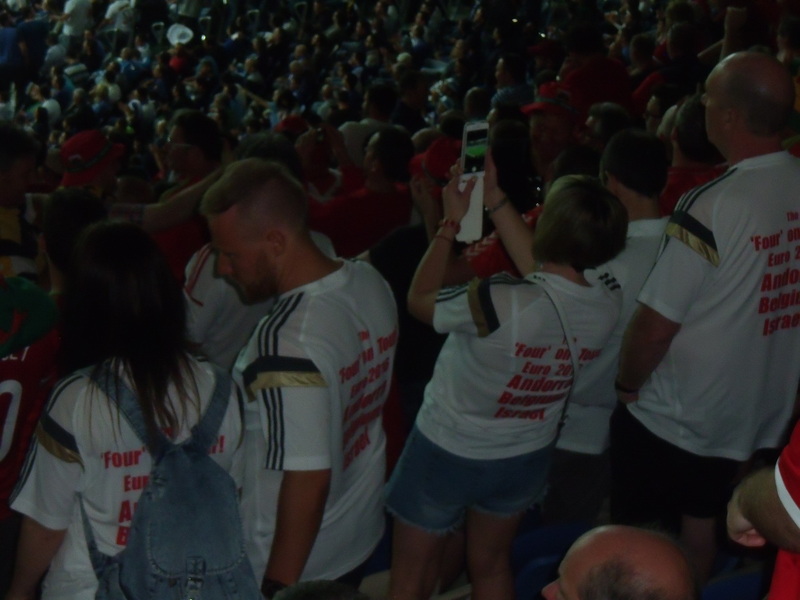 The substituting of “Auschwitz” and “Belsen” when the Spurs fans were singing that they were “on the road to Wembley” is so old hat. The Second World War ended 65 years ago and I had to contend with the same nonsense nearly 30 years ago when I was at Chelsea. Do me a favour, please grow up. In case you don’t know it Leeds is a club with strong Jewish connections. In fact I am one of the few non-Jewish chairman going back as far as I can remember. I don’t have a problem with Jews. I was, in fact, the only gentile in Jerusalem at a bar mitzvah and looked so Jewish with my beard, little black hat and overcoat that I was asked to join other ceremonies. There are a few exceptions (I could name one or two) but by and large they are a talented race who punch above their weight in all aspects of society. Mind you, the north London lot don’t help themselves by describing themselves as “Tottenham Yids”. In the old days they even wore badges to that effect. However, it is not good enough to write to me some days later complaining after the event. Around the ground at Elland Road there are boards advising you of the text number 07946 362117. 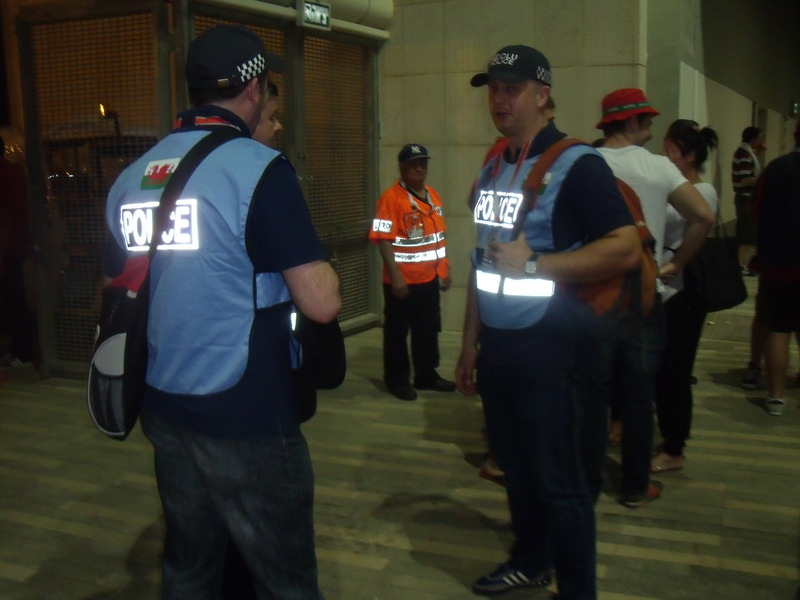 If you have a problem, use it – whereupon our response team will be quick to react. Remember, for evil to flourish, it only requires good men to do nothing.